Bliss Ambassadorial Tableware with the Department of State Great Seal. 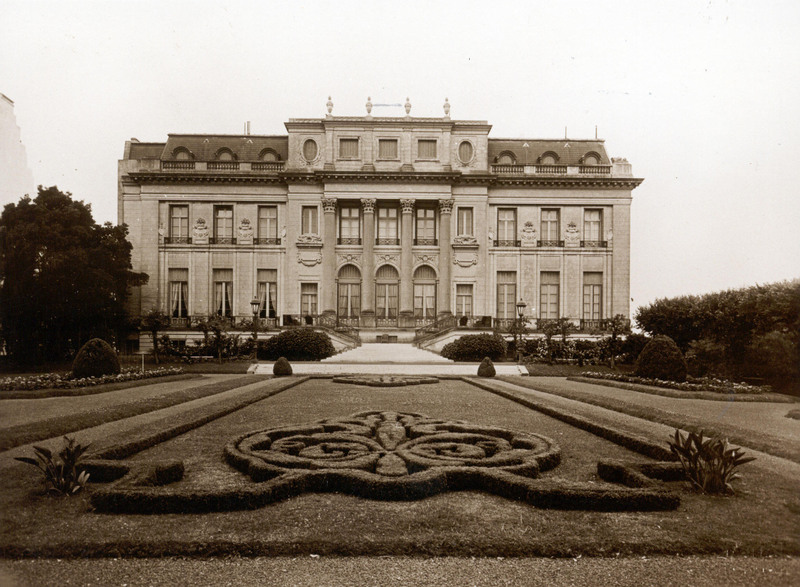 Dumbarton Oaks Archives (AR.BL.1927.1–21). In the pre-Second World War era of Foreign Service postings, US Foreign Ministers and Ambassadors were expected to provide for their own housing, entertaining, and other living expenses. This could be a very expensive undertaking, and even today, according to Bloomberg Businessweek, the funds that US embassies receive from the Department of State do not adequately cover the high costs of the frequent parties and dinners that ambassadors are expected to host. According to Bloomberg, some ambassadors pay more than one million dollars a year out of pocket in order to meet their entertaining obligations. 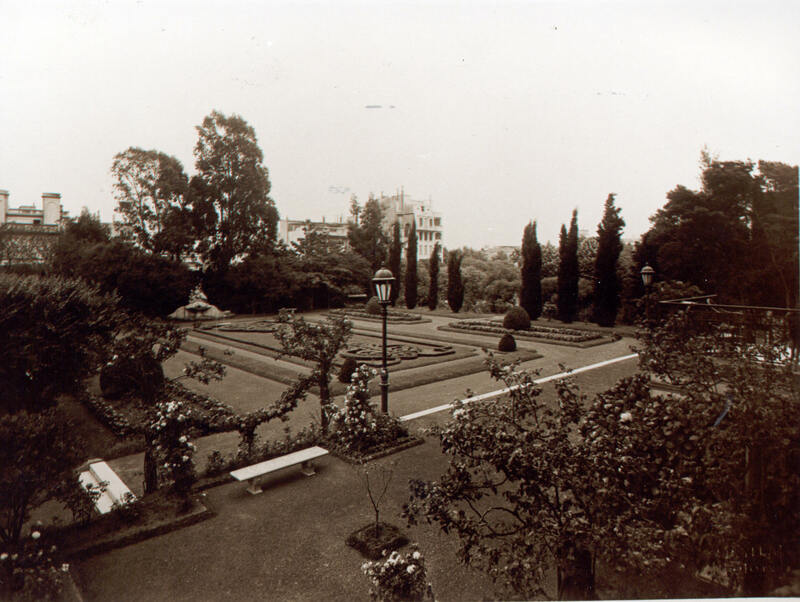 The founder of Dumbarton Oaks, Robert Woods Bliss, served twice in diplomatic positions in Argentina: as Secretary of the US Legation (1909–1911) and as Ambassador (1927–1933). As Legation Secretary, Bliss witnessed the retirement in 1911 of Minister Charles H. Sherrill, and the appointment of John Ridgely Carter. However, Carter never took up the post, claiming that the $12,000 salary was insufficient to maintain the dignity of the position. Carter told Secretary of State Philander C. Knox that he had investigated the conditions in Buenos Aires and found that it would cost the amount of his salary alone to get a suitable house, while to keep it up and live in the style befitting the representative of the United States would involve an expenditure of between $40,000 and $50,000 a year (the equivalent of $950,000–$1,200,000 in 2013 dollars). He further claimed that Sherrill had spent $100,000 yearly (the equivalent of $2,400,000 in 2013 dollars) in keeping up his position in Buenos Aires. (See “Living too Dear in Buenos Aires; Carter Told Knox He Could Not Accept Mission There Unless Provided with a House,” New York Times (November 12, 1911). As material attestation to the Blisses’ entertainment responsibilities in Argentina, the Dumbarton Oaks Archives holds a 142-piece collection of Minton porcelain tableware and a 127-piece collection of Baccarat cut-crystal tableware (AR.BL.1927.1–21) (images above). The Blisses acquired these pieces during Bliss’s ambassadorship in Argentina, and each piece is embossed with the gold US Department of State great seal. Because the Blisses had paid for this expensive tableware “out of pocket,” it was sent back to Dumbarton Oaks when Robert Bliss retired from diplomatic service in 1933. Bosch Palace, ca. 1930. Archives, AR.DP.BL.009, Dumbarton Oaks Research Library and Collection. Bosch Palace, Paterre Garden, ca. 1930. Archives, AR.DP.BL.010, Dumbarton Oaks Research Library and Collection.